Aspen A Plus Executive Transportation is your partner for a perfect day of elegant Napa Valley limo wine tours. We specialize in offering local wine tasting tours in the lovely and majestic Napa Valley, Sonoma Valley and San Francisco areas. One of San Francisco's most famous attractions, millions of travelers visit wine country each and every year. Aspen A Plus Executive Transportation offers luxury limousine wine tours and executive Sprinter Van wine tours with a private chauffeur wine tour guide. Just 45 miles north of the Golden Gate Bridge, wine country delivers a rich experience of some of the area's best wines and restaurants. Your Napa Valley Wine Tour or Sonoma Valley Wine Tour can be customized to meet your individual or group transportation needs. Allow one of our wine tour experts to guide you through selecting the perfect wineries for your tour based on varietal preference, specific region or simply select one of our tried and true wine tasting limo tour routes. Our hand-picked vineyards are always selected according to your needs and we focus on taking you to breathtaking wineries that offer professional customer service, beautiful scenery and the best tasting wines. With our luxury fleet of SUV's, Stretch Limousines, Hummer Limousines, Executive Sprinter Vans and Minibuses, Aspen A Plus will make your wine country tour the best experience it can possibly be. View our Luxury Wine Tour Fleet. Aspen A Plus Executive Transportation will make your Napa Valley Limo Wine Tour an experience that you won't forget. Sit back and relax while enjoying the sights as your private wine tour chauffeur takes you to some of the areas most amazing wineries Napa Valley has to offer. Some of the wineries that you could experience in one of our luxury limousines are: Ahnfeldt Wines, The Beaulieu Vineyard, The Hess Collection with Art Gallery, Domaine Chandon, and many others. Aspen A Plus is dedicated to meeting your wine tasting tour needs and we can arrange for our chauffeur to take you to your favorite Napa Valley Vineyards. View the directory of Napa Valley Wineries here. Napa Valley winery tours are a wonderful way to celebrate bachelorette parties, birthdays, anniversaries, special occasions or a corporate outing. 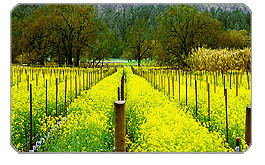 Aspen A Plus Executive Transportation specializes in Sonoma Valley wine tours. Our limousines and executive vans provide just the right ambience to enjoy a leisurely trip into Sonoma Valley to experience some of the area's best wine tasting. From small groups to corporate transportation, our diverse fleet offers professional vehicles ready to meet your Sonoma wine tour transportation needs. Our vehicles are operated by professionally trained chauffeurs that will exceed your expectations and go the extra mile to ensure your safety and comfort. Here are a few of the Sonoma Vineyards and Wine Tasting Establishments: Bartholomew Park Winery, Kenwood Vineyards. View the directory of Sonoma Valley Vineyards here. As one of San Francisco's premier wine tour transportation resources, Aspen A Plus delivers consistent, dependable and personal service. 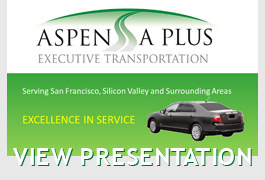 Aspen A Plus Executive Transportation services the entire San Francisco Bay and its surrounding areas with dedicated corporate transportation and corporate wine tour services. If your business is seeking to book a corporate wine tour or group transportation package to Napa Valley or Sonoma Valley, then call us for a quote. Aspen A Plus works with all types of businesses both large and small. Our professional team of corporate transportation specialists will make your next corporate event stress free and comfortable.